Mohammedan Sporting Club produced yet another disappointing performance in Group A of the ongoing 122nd U-19 IFA Shield as they were thrashed 4-0 by SAIL Football Academy – Burnpur on Sunday at the Barasat Municipal Stadium. The big win was powered by a brace from Israfil Dewan (16′, 64′), along with goals by Sheikh Mohammad (38′) and Avijit Mondal (73′). The Young Panthes failed to play a cohesive game and looked mere spectators for most of the 90 minutes. SAIL made a quick start as Sanjoy Orang played a delightful through-ball for Shouvik Ghoshal to run onto. He cut to his right and shot from just outside the box, but Indrajit Sanyal made the save. Mohammedan Sporting responded moments later as Debraj Rakshit found Suraj Munshi on the right. Suraj made room to have a shot, but couldn’t keep it down and saw the ball fly well over the bar. The breakthrough arrived in the 16th minute when a long-ball from Sanjoy found Bikram Meitei who rounded Suman Shil before cutting it back from the byline for Israfil to poke home. Mohammedan Sporting had a couple of half-chances as the likes of Suraj and skipper Asif Hussain combined, but the failed to truly test Kishan Singh. While Mohammedan Sporting pushed for the equalizer in the later stages of the first-half, SAIL Football Academy managed to double their lead through Mohammad in the 38th minute. The winger ran onto Sudip Acharjee’s pass and slotted from close range. Mohammedan Sporting looked better early in the second-half, but it was SAIL Football Academy who extended their lead in the 64th minute. A long-ball was chested down by Sanjoy for Israfil, who played it straight back to his teammate. Israfil had space to work with and smashed it home. SAIL Football Academy took control of proceedings after scoring their third goal and looked like scoring a fourth as Israfil kept the pressure on the Mohammedan Sporting defence. The Trijit Das-coached side added their fourth through Avijit, who smashed a long ranger home after receiving the ball from the back. 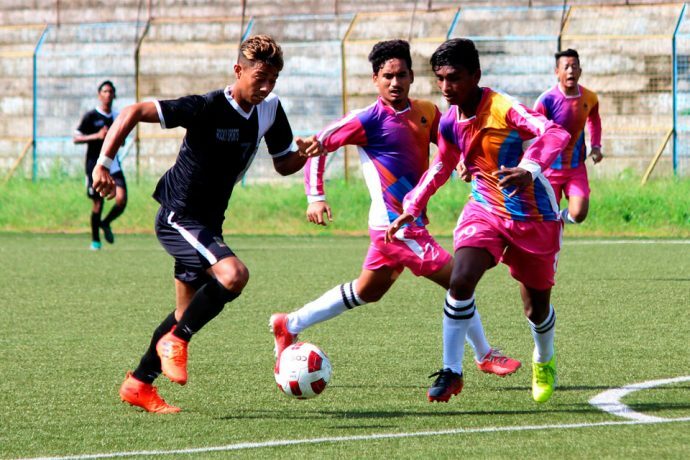 Thereafter, SAIL Football Academy had few more chances but Mohammedan Sporting managed to see out the rest of the second-half to escape further embarrassment. The result almost knocked Mohammedan Sporting out of the competition but they still have a outside chance. Mohammedan Sporting need to win big against East Bengal in their next match on July 11, and ATK must beat SAIL Football Academy.